Ships today if you order in the next 4 hours 50 minutes. 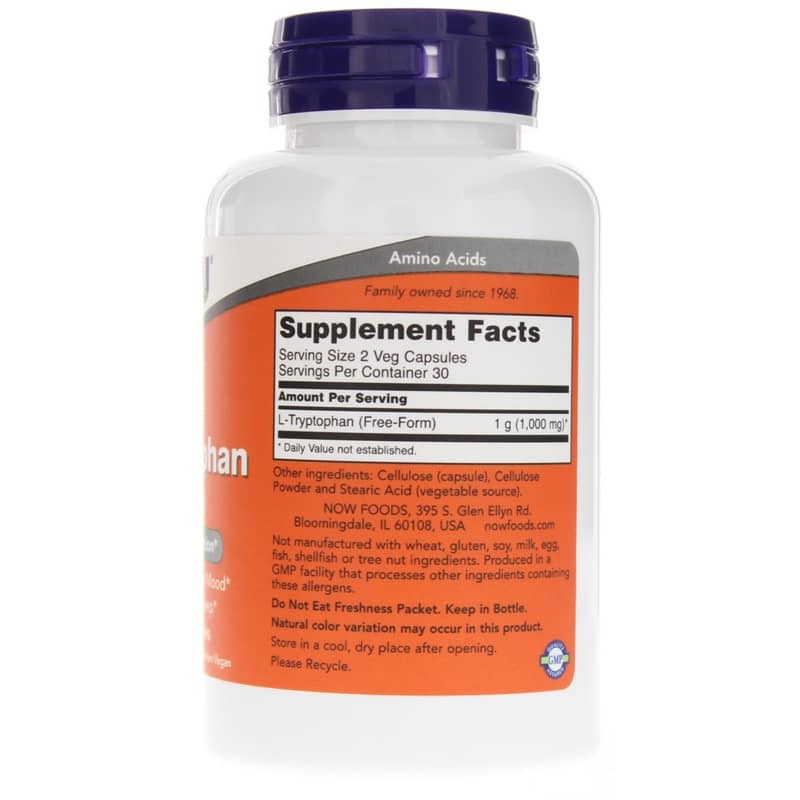 As an essential amino acid, it is not synthesized by the body and must be obtained from the diet. 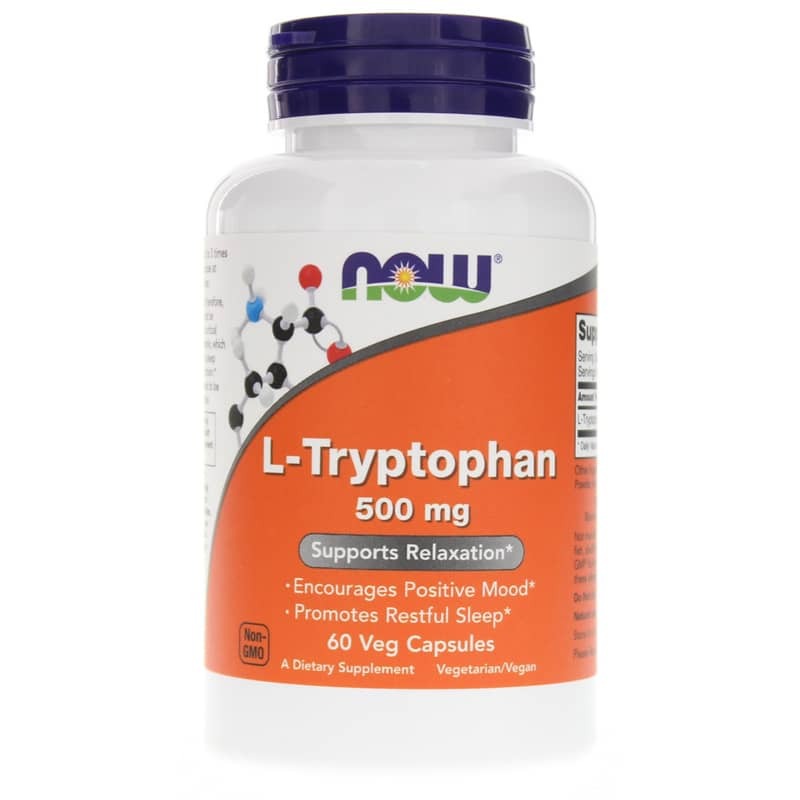 NOW L-Tryptophan is pharmaceutically pure - every lot is tested to be free of Peak E and microbial contamination. 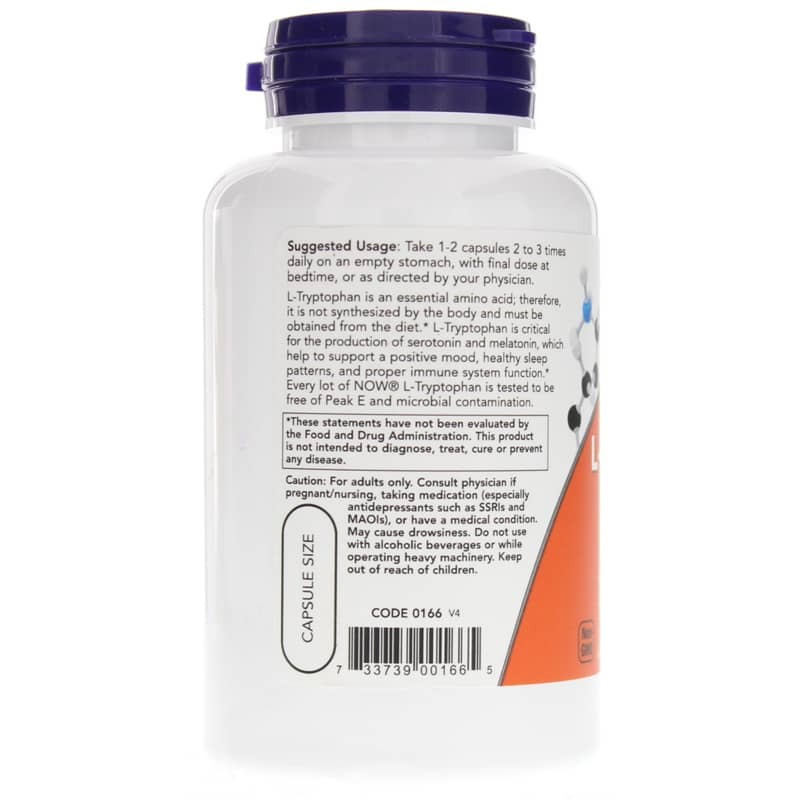 Adults: Take 1-2 capsules 2 to 3 times daily on an empty stomach, with final dose at bedtime, or as directed by your physician. For adults only. Consult physician if pregnant, nursing, taking medications (especially antidepressants such as SSRIs and MAOIs), or have a medical condition. May cause drowsiness. Do not use with alcoholic beverages or while operating heavy machinery. Keep out of the reach of children.